The purpose of Companion Care is to simply offer friendship and provide opportunities for social interaction. Where Companion Care services focuses on the social and emotional needs of the person, Home Helper services extend beyond the social needs to providing practical help with things like grocery shopping, meal preparation and light housekeeping. Companion Care means that your loved one has someone to share a meal with, go for a walk, play games or watch their favorite show with. It means that your loved one will not be alone but will have the company of a caring and conscientious person to share their day with. Sometimes having the right care plan is just knowing that there is someone you trust who is keeping an eye on your loved one while you’re away. 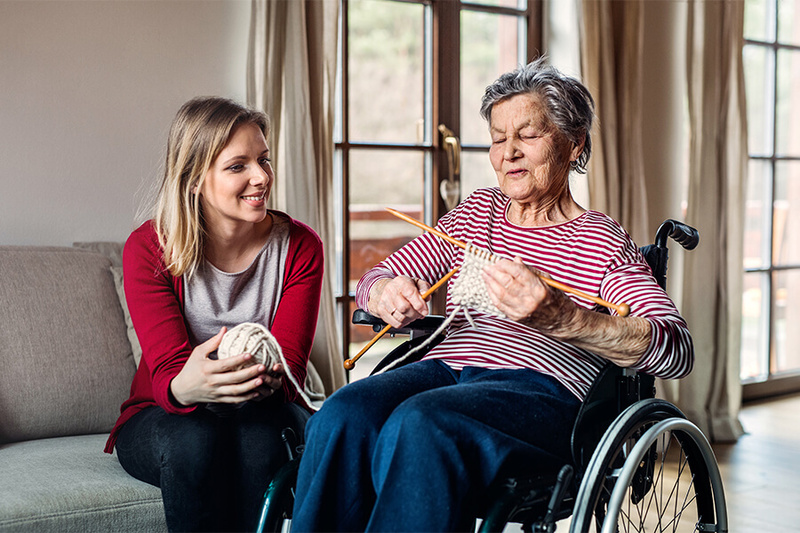 A Home Helper is basically Companion Care with “helping hands.” These hands are busy at work to ensure that your loved one’s living environment remains safe and supportive. Home Helper services include preparing a healthy meal for your loved one while keeping an eye on the food expiration dates in the fridge. It’s putting away clean and folded laundry and stopping on the way to remove a potential tripping hazard in the hallway. It’s a helpful reminder to take one’s afternoon pills, bringing in the newspaper and mail, and wheeling out the trash bins to the curb on trash night.